The Iowa PGA Professional Championship presented by Club Car and Omega takes place Monday, July 23-24 at the Glen Oaks Country Club. Click here for more information. The Junior Tour Team event and Stroke Play takes place Monday, July 23 at the Wakonda Club. This event will play an 18-hole individual stroke play per division and 18-hole one best ball of two gross team event format. Registration for this event closes today at 3:00 p.m. Click here to register. The Iowa PGA Cedar Rapids Junior is on Tuesday, July 24 at the Gardner Golf Course. Registration for this event also closes today. The deadline to sign-up is at 11:59 p.m. Click here to register. The 85th Iowa Open is the next event on the Iowa PGA schedule. There is still time to sign up for this event. Registration closes Tuesday, July 24 at 3:00 p.m. Click here to register. The Iowa Senior PGA Professional Championship takes place August 12-14 at the Cedar Rapids Country Club. Members interested in registering for this event should visit www.pgatournaments.com. 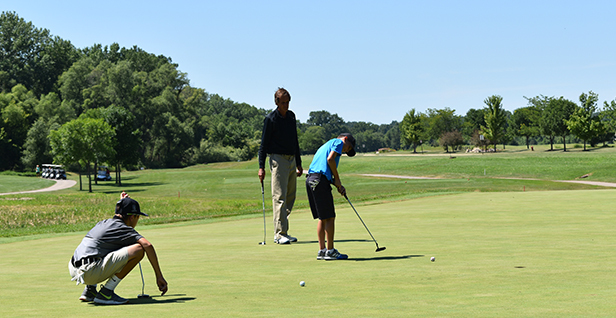 The Iowa PGA Junior and Pee Wee Tour has seven events left in the month of August. The Larry Crawford Junior and Pee Wee, Parent Junior at Bos Landen, Southeast Iowa Junior and Pee Wee, Beaver Creek Junior and Quad City Junior at Glynns Creek round out the month of July for the Junior. Registration is still open for all these events. Click here to register.